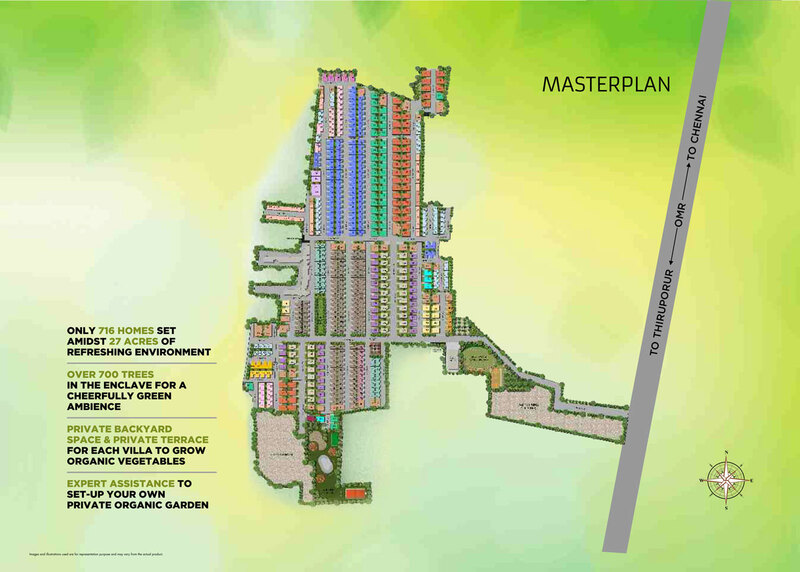 The one & only Best Villa project in Chennai comprising 716 homes set amidst 27 acres of refreshing environment. Our Humming Gardens gated community has over 700 trees in the enclave for a cheerfully Green Ambience. These independent villas in Chennai is developed with a private backyward space & private terrace to grow Organic vegetables.